Instant Heart Rate is rated as the world’s best mobile heart rate measurement app and is trusted by Stanford’s leading cardiologists for use in clinical trials. Instant Heart Rate uses your phones built-in camera to track color changes on the fingertip that are directly linked to your pulse. This is the same technique that medical pulse oximeters use. Simply place the tip of your index finger on phone’s camera and in a couple of seconds your heart rate will be displayed. 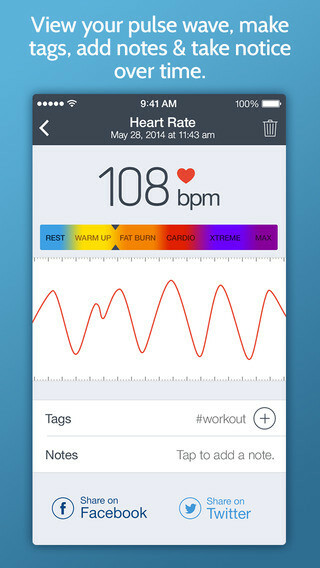 A real-time chart will show your every heartbeat.